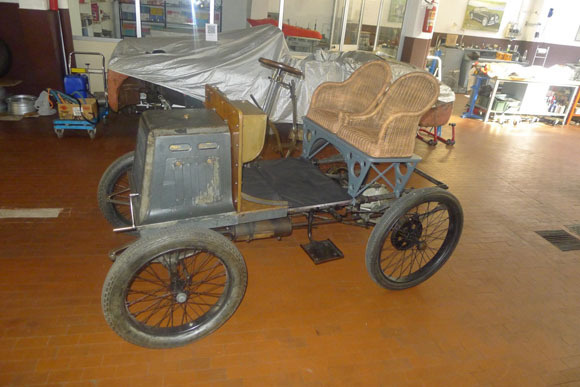 A unique veteran car that Italian dictator Benito Mussolini once donated to the Henry Ford Museum will be making a guest appearance as a special invited entry on the Bonhams London to Brighton Veteran Car Run on Sunday, 1 November. 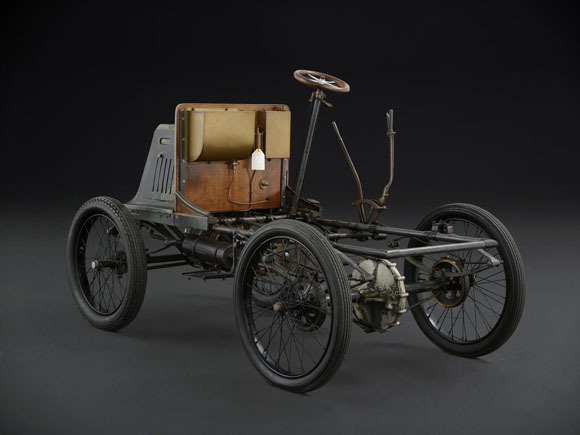 The 1901 Isotta Fraschini is chassis number one, the very first car to wear the famous ‘IF’ badge. At that time the Milan-based company, which had been started by Cesare Isotta and brothers Vincenzo, Antonio and Oreste Fraschini, assembled and sold Renault cars in Italy. Although now best known for its powerful racing cars and the luxury limousines built until the end of the Second World War, Fraschini’s first car was a more modest machine. 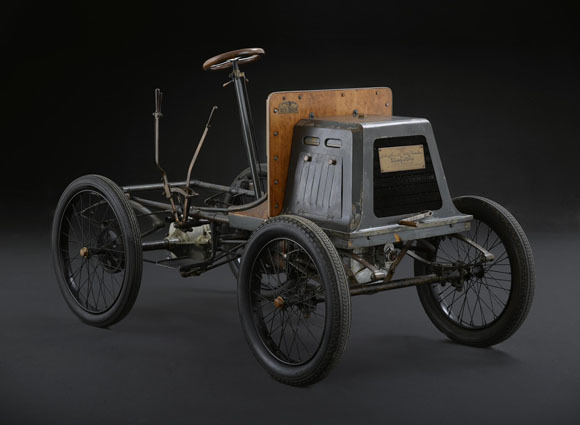 A small two-seater voiturette, chassis number one was powered by a single cylinder De Dion Bouton engine, as used in the contemporary Renault Type D so familiar to the company. But curiously, the car was never given any bodywork. It was in this state – a rolling chassis – in 1931 when it was donated to Henry Ford’s famous museum in Dearborn, Michigan. In fact, it turned out that it had not been quite so freely given by Isotta Fraschini – the donation had been ordered by Mussolini who was trying to entice Ford to start producing cars in Italy. An idea that Fiat quickly stopped. And the museum appears to have been a little bemused by the donation. Although the chassis was put on display for a while, it spent most of its time in America stored in the museum’s vaults before being sold in the 1980s. In 2014, however, it was bought by an Italian collector who made sure the chassis came home after 83 years away. Aside from getting the engine to run after decades of silence, the car has not been restored in any way. It remains a rolling chassis and wears ‘the coat of time’ according to its owner. 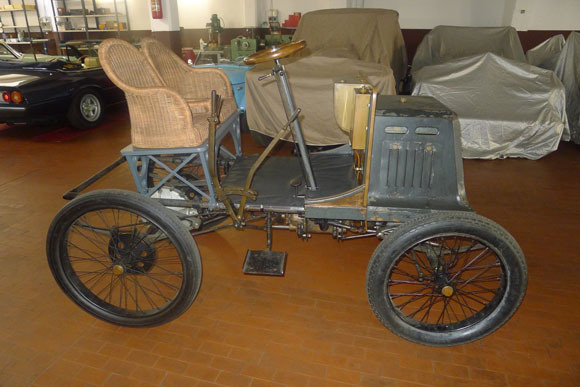 So that it can be driven on the Run, however, it has been fitted with a pair of wicker seats mounted on a removable frame allowing it to be quickly returned to its original state.